For every bar sold, Original Beans plant a tree. Phillip Kauffman, WWF conservationist and chocolate entrepreneur and his team are dedicated to replenishing resources so easily annihilated in the cocoa industry. 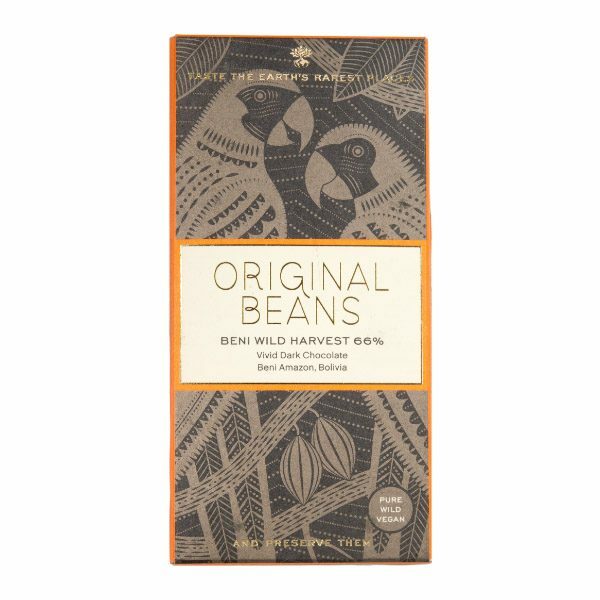 Their passion has inspired Original Beans’ protection of endangered wildlife, the tripling of farmer incomes, and the production of the first climate-positive supply chain. 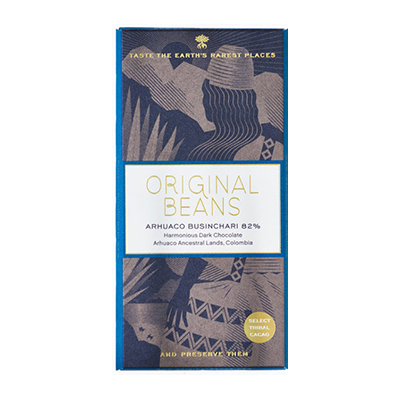 When you bite into a square of Original Beans chocolate, you are actively paving the way for a more sustainable and more just future. But just how good is that square of chocolate? 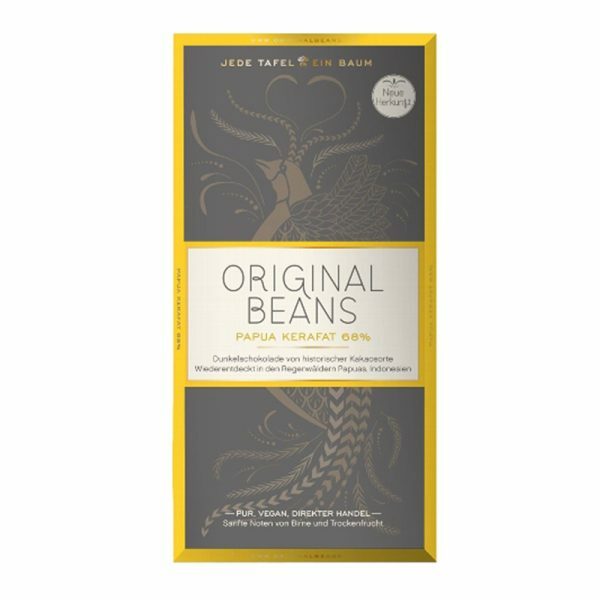 Well, some of the world’s best 50 chefs work with Original Beans chocolate. 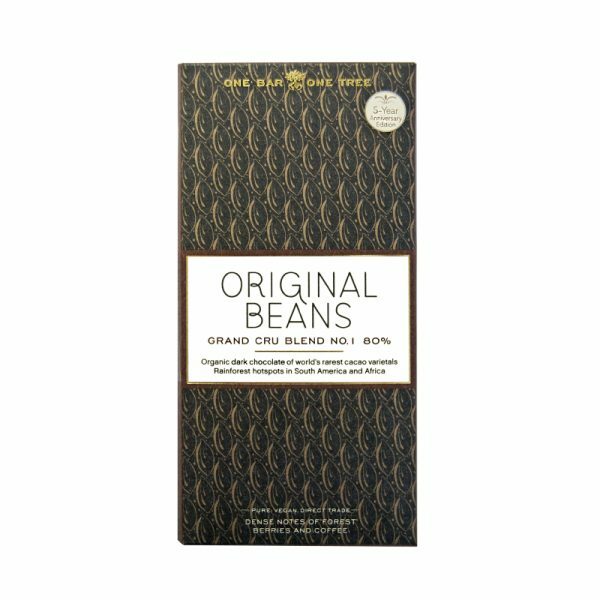 Both the beans and the bars are the proud bearers of a plethora of awards. Indeed, they have preserved seven heirloom and regional cacao varieties, some of which were nearing extinction and are harvested only by this organisation. So, not only is that square of chocolate mouth-wateringly flavoursome, but unique in taste. Beneath Machu Picchu, the mountaintop citadel of the ancient Incan civilisation, grows the heirloom Chuncho cocoa pod. Some of these trees are nearly 200 years old, sprouting ever upwards at altitudes unheard of for cocoa. Here lives the endangered Condor, the largest flying bird in the world. 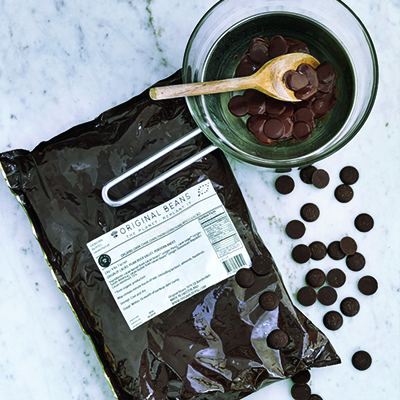 According to Evert Thomas, genetic biologist, “Chuncho cacao presents an unmatched explosion of genetic and organoleptic diversity.” This bean could well be the aromatically richest in the world. 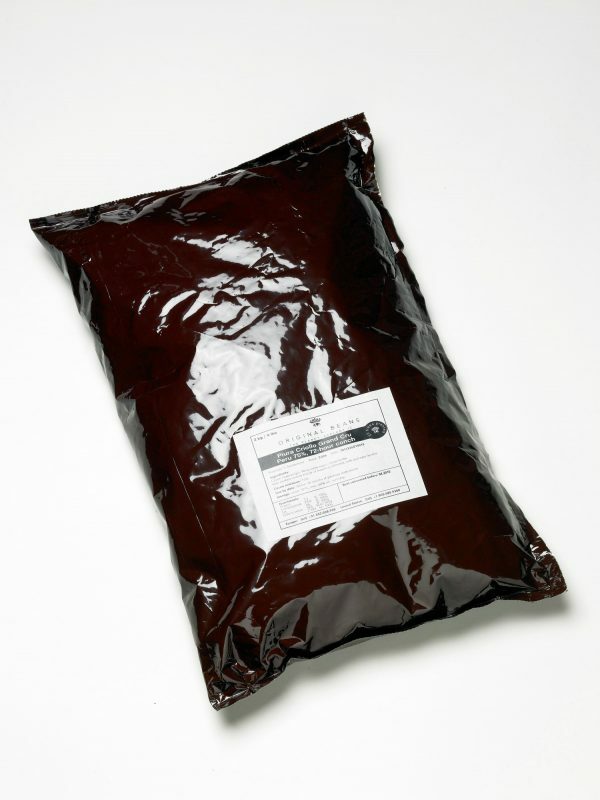 Unlike many foreign hybrids, the result of cross-pollinating different cacao trees, Original Beans use pure Chuncho. Their 100% Cusco Chuncho bar is a rarity and a half – never before has chuncho been used in pure selection. Special nurseries are needed to propagate and raise this intense variety. The ancient Incans, whose remains are home to this extraordinary phenomenon, believed that such cacao was powerful enough to enable man’s flight to the heavens. Cocoa Runners recommend trying a bite for yourself in order to test their hypothesis. 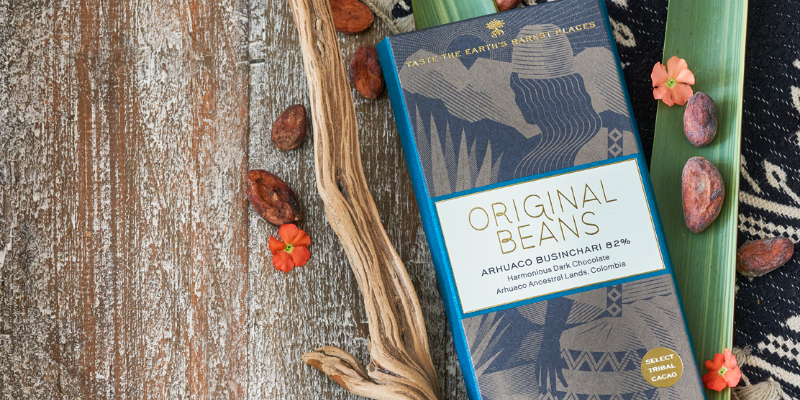 Deep within the dry desert valleys of Piura, northern Peru, grows the rare Malinga bean. The region is known for its white cacao – yet this bean is not white at all. When cacao hunter Jan first visited the region, he was amazed to see the local families fermenting their astonishing dark Peruvian beans themselves – in front of their houses, using craft technique. The farmers are almost as proud of their cocoa-growing skills as of the astonishing variety of birds and butterflies whom they live alongside. 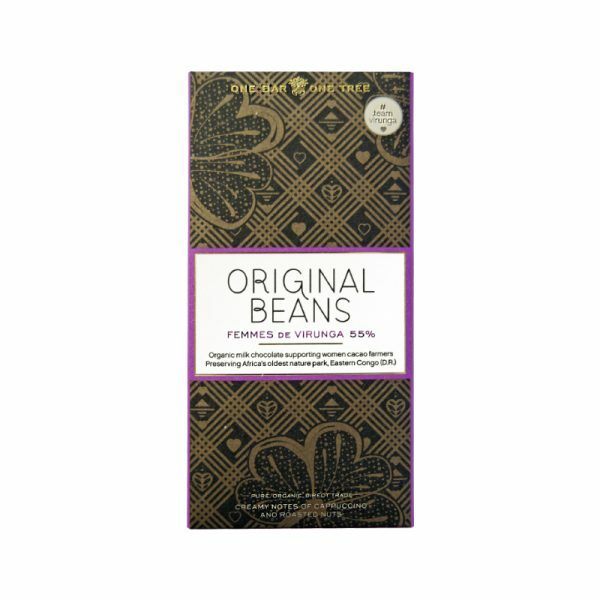 Indeed, Original Beans helps to protect 2.800 hectares of dry forest in norther Peru, home to such rich biodiversity. The quality of the Malinga cacao has also allowed for the famous “one bar: one tree” initiative that in 2016 alone has already seen the plantation of 100 000 trees in northern Peru. The Beni, of the southwestern Amazon basin, Bolivia is an archipelago of over 38 forest islands known as ‘chocolades’ – chocolate islands. Here, seasons vascillate between droughts and floods but if anything stays constant, it is the quality of the cacao Beniano. This is the only place where 100% wild cacao grows. For centuries, indigenous collectors have sustainably harvested the rarest of rare Beniano – it is this culture of responsibility and pride that Original Beans strives to preserve. The ultra-rare Piura Porcelana white cacao of the dry, desert valleys of northern Peru was almost extinct as of 2007. It was caught in a cycle of drought brought on by intense deforestation, followed by flooding in the monsoon seasons, only for the rivers to run dry in the arid heat of summer once more. With natural resources depleted and locals suffering from malnourishment, Original Beans’ investment in the area has radically altered the lives of these Peruvian communities. Families have moved from cultivating rice to diverse cacao-agroforestry, tripling their incomes in now harvesting one of the most-awarded cacao strains worldwide. 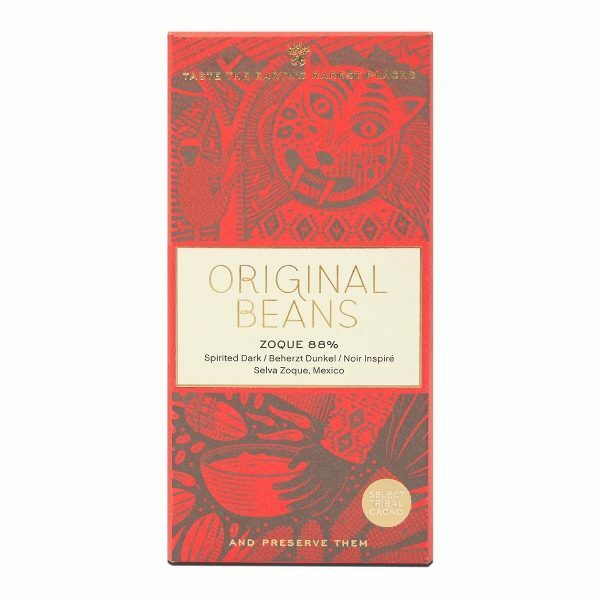 Amongst other highlights is the ultra-rare Virunga Amelonado bean of the Democratic Republic of Congo, whereby the buying of each bar goes towards initiatives countering deforestation in the hugely rich and beautiful Virunga region. Original Beans have teamed up with Femmes de Virunga, as of 2016 the world’s first all-female cooperative, empowering them with literary courses and infrastructure. The Femmes de Virunga have already planted a quarter of a million cacao trees, and another 40 thousand shade trees in a united effort to save the Congo’s forest from complete destruction. 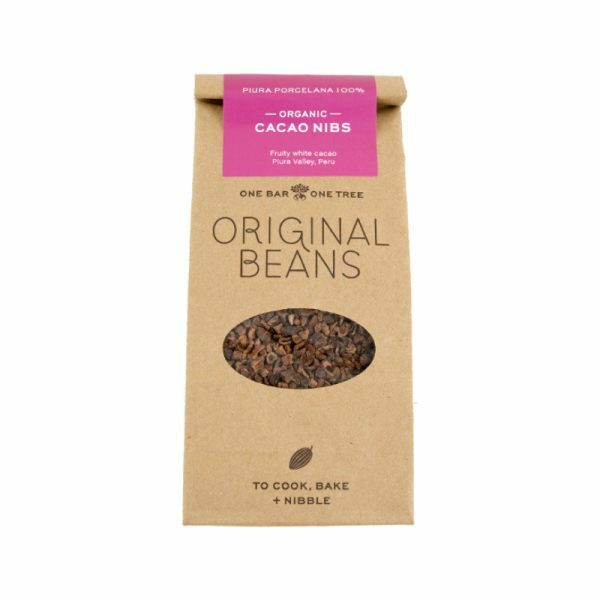 This is but a snapshot into the projects run by Original Beans to find the best cacao, and to help the communities that support this. 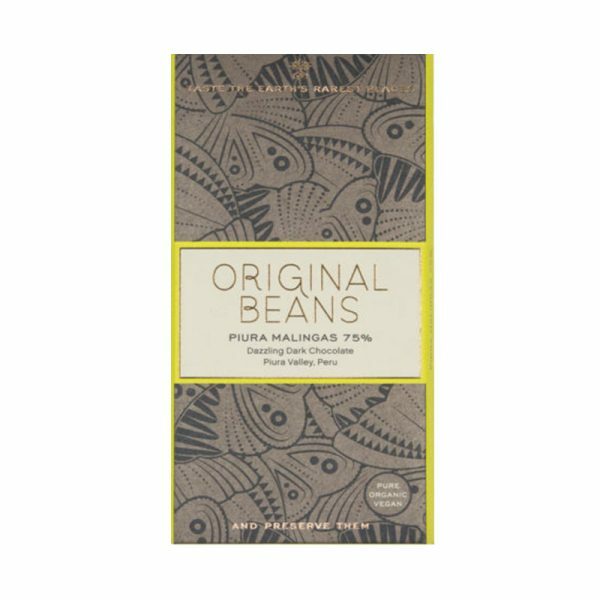 Each bar of Original Beans chocolate has on its packaging a unique tracking code. Enter this on their website, and you can find out all sorts of information about the region in which the beans were grown, and view pictures of the harvesting process.